Airtel has launched its 4G services in Nagpur with this roll out, Nagpur becomes the 2nd city in Maharashtra after Pune and the 14th city in the country to get Airtel 4G. 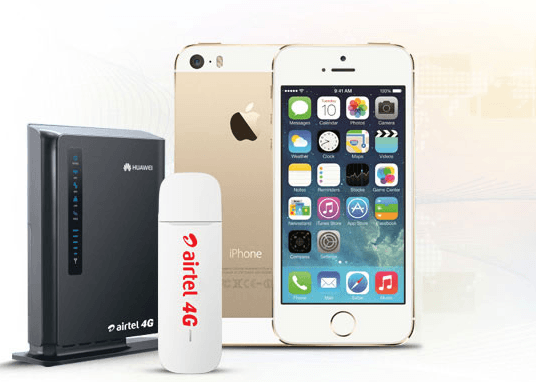 Customers can now enjoy Airtel 4G’s dongles and WiFi CPEs at affordable prices. The dongles are priced at Rs. 1500, the CPE is priced at Rs. 2500. Customers can select from a host of 4G postpaid plans. A special plan of Rs. 2000 (for CPEs) has also been introduced for heavy data users which will offer 40 GB of 4G data. Special demo zones and kiosks have been installed in Nagpur city at Airtel Express Stores situated in Sadar, VNIT, Laxmi Nagar, Khamla Square, Nandanvan, and Dharampeth for customers to experience LIVE demos and get started on 4G. Customers can also SMS 4G to 53636 to get more info about the service. 40 GB for 2000 looks good plan in current situations of data pack rates where operators are giving 1 GB of 3G data for 250 rupees…what is the validity of this plan…?